As Transforming Transportation 2015 kicks off, panelists discuss the essential role of transport in the future of sustainable urban development. Photo by ruimcc77/Flickr. 2015 is a crucial year for the global sustainable development agenda, and cities will play an integral role. A new set of Sustainable Development Goals (SDGs) by the United Nations is expected in September 2015, and a draft of the SDGs earlier this year put new emphasis on sustainable cities. At the first panel of this year’s Transformation Transportation conference, leaders from India, Mexico, the Netherlands, and the OECD discussed how urban transport can be integral to sustainable development. 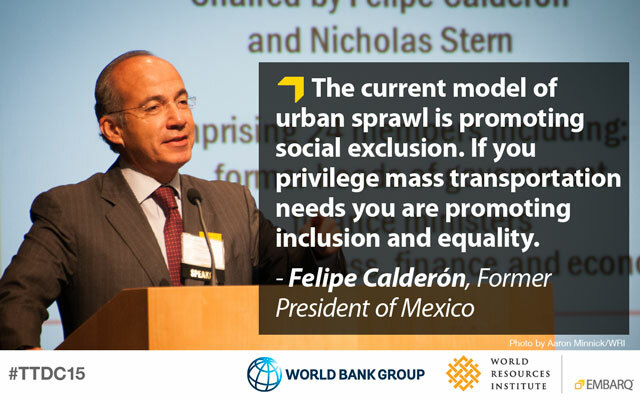 The change may need to be sweeping, according to Felipe Calderón, former president of Mexico and current chair of the Global Commission on the Economy and Climate. In Mexico City, a new mobility law aims to eliminate thousands of the pollution-emitting, poorly maintained micro-buses now used for public transport. The city also built pedestrian-friendly thoroughfares and zero-emissions corridors, restricted car use, and is expanding metro lines, the Metrobús bus rapid transit (BRT) system, and bike-sharing. 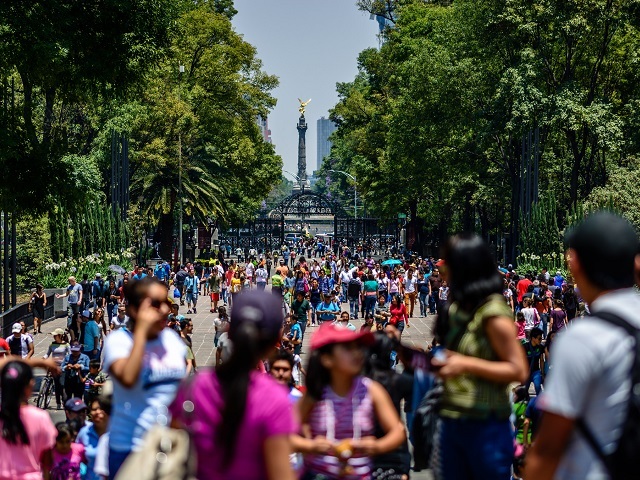 “I’m convinced that mobility can improve quality of life in Mexico City,” said Mayor Miguel Angel Mancera through a translator. Cities and transport also play a key role in the climate change agenda. Transport is responsible for 22% of energy-related greenhouse gas emissions worldwide, and these emissions are rising faster than those for any other sector. Cities contribute about 70% of energy-related greenhouse gas (GHG) emissions, despite only accounting for 2% of global land. There is often debate about what constitutes a sustainably smart city as far as transport is concerned. Jose Viegas, secretary general of the International Transport Forum for the Organization for Economic Cooperation and Development (OECD) said that beyond using new technologies, smart cities must have clear strategic objectives. Uniting different levels of government around a common set of objections can be difficult, he said.